A man who powerfully touched the lives of others with joy. That was how Drew Finlay was described at his funeral recently. Drew was a man well-known locally for many years as a simply a genuinely good man, who lived live to the fullest with honest integrity and real wit. He was a champion: in the ring; of the young; of his family; of working folk, and especially of the communities of Falkirk and Carrick. 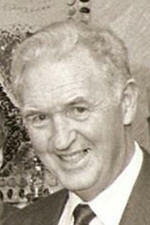 Drew was born on March 29, 1931 in Falkirk and attended Laurieston Primary School and then Graham High School. He left school at 14 and started work with the Carron Company where he eventually trained as an apprentice engineer. At that time he became interested in boxing and joined the Army Cadets in Grangemouth Boxing Club. 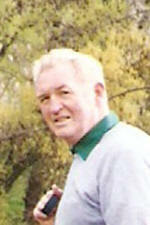 His interests also involved football and he took part in Scottish trials at 16 and also played for Camelon and Glasgow. 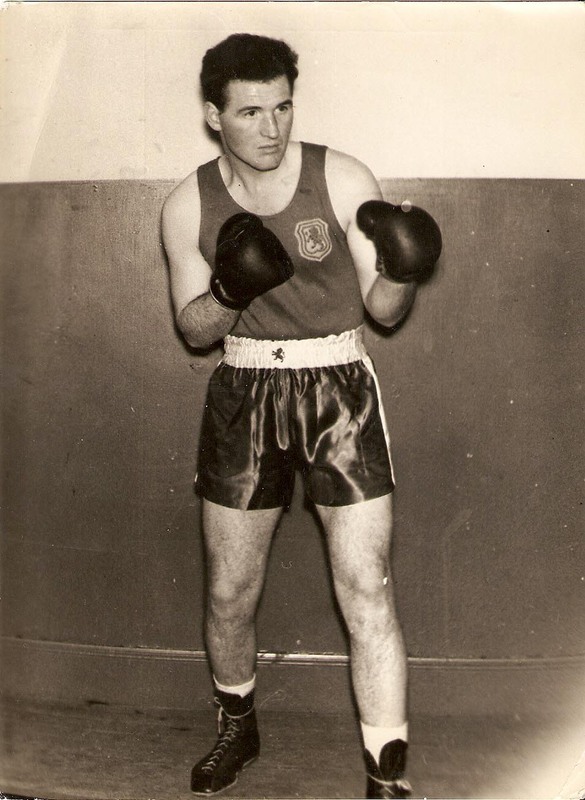 At the age of 17, he became an amateur boxer which involved training in Grangemouth andIn 1954, he left Carron and went to work at ICI Grangemouth as an engineer. In 1955, Drew’s career in boxing extended to being involved with the Territorial Army in Stirling. He had been asked to box for them and became the only cadet who never did any drill with them or wore a uniform! During this time his boxing career continued to progress so well that he was invited to box for Scotland; in 1953 against Ireland and in 1955 against Russia and once he was even invited to box in front of the Queen, which he refused. His boxing trips often took him to England and in June 1957 he went to Blackpool Territorial Camp for a weekend. He and a friend went dancing in the Winter Gardens and Drew met Barbara who he was to marry on September 19, 1959 in Norley Methodist Church. His first interest in youth work began in Graham's Road Church Falkirk, where he helped with the youth club. Later on, when he moved to Dennyloanhead, he ran Bonnybridge Church Youth Club. Having retired from boxing when he got married, Drew became interested in rugby and at the request of the Grangemouth ICI Rugby Club in 1962 he became their trainer. He also occasionally played for them and, according to Barbara, had more black eyes and injuries through rugby than boxing. In 1965, Drew left ICI and went to Moray House College of Education full time to train in Youth and Community Work for two years. In August 1967, he and his family moved to Ayr when he took up the position of Youth and Community Worker for South Carrick, based in Maybole. In 1972, he was promoted to Area Community Education Officer for South Carrick. The family moved to Maidens in 1975 and took over the running of Rochlea Guest House and during the eight years Drew lived there he became more serious with his jogging and took part in many fun runs and half marathons - his one and only regret was that he was not able to fulfil his ambition to run a marathon at 65. 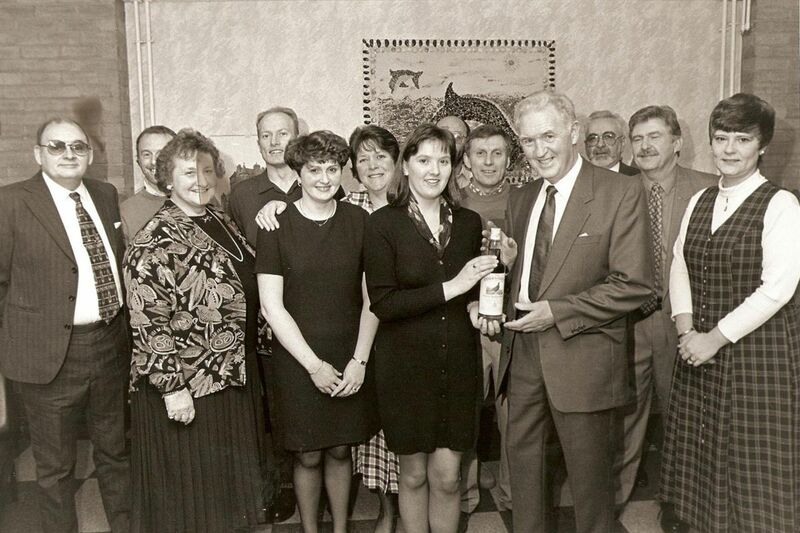 In 1987, Drew was Co-ordinator of the Carrick 800 Pageant held at Culzean Country Park on June 20. His jogging eventually ceased when he had a hip replacement in 1990 but within a week he was up and about being given a row by the ward sister at the hospital for running with his supports instead of using them for what they were intended! Steven continued, “Dad walked the talk. And yes he could talk. From debating global politics to union movements, Marx to theology, Dad taught me how to argue with the power and punch of a boxer. It took me ten years working for the Church - yes in youth work - to pacify myself, the son of a committed CND campaigner. “Dad also walked the walk. In fact he hitched, jogged, cycled, motorbiked, climbed and swam his way around many continents. “His infectious enthusiasm for a life well lived pulled in younger and older brothers, Church and youth and community groups and leaders and everyone else who was close - to share with him in the fun of life.” Steven added that his dad’s biggest fight was to lose to a Russian fighter Shatkov who two years later fought the then Cassius Clay. Drew was an inspirational man who will be sadly missed by his family, friends and all who met him.